(1) How much does it cost to become a member? Membership is simple and inexpensive. 2) How do I join? (b) Join online. Click here. 3) Do I have to run at a certain pace to participate? All paces are welcome! GRC is comprised of members of all ages and paces, including walkers. 4) How do I find out about organized, small runs? Check out our calendar of events. And, if you are interested in starting a small group run in your area, please contact our one of our board members. 5) How do I get involved and volunteer? There are many ways to volunteer and we would love your help! 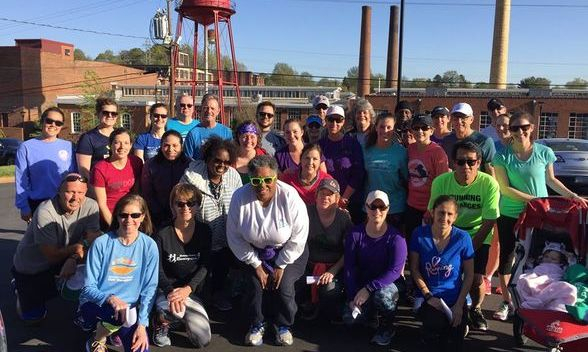 You can help with social activities; racing events; community activities, such as Adopt-A-Highway; and coaching for our Women’s or Men's Running School. Contact one of the Volunteer Committee Chairs for more info. Copyright © 2017 Greensboro Running Club, All rights reserved.